Our club has formed a unique partnership with the Wigwam Resort, our club's home base and the cornerstone of commerce in Litchfield Park. Our partnership with the Wigwam is intended to mutually benefit both parties and to further the stated goals of Rotary International. 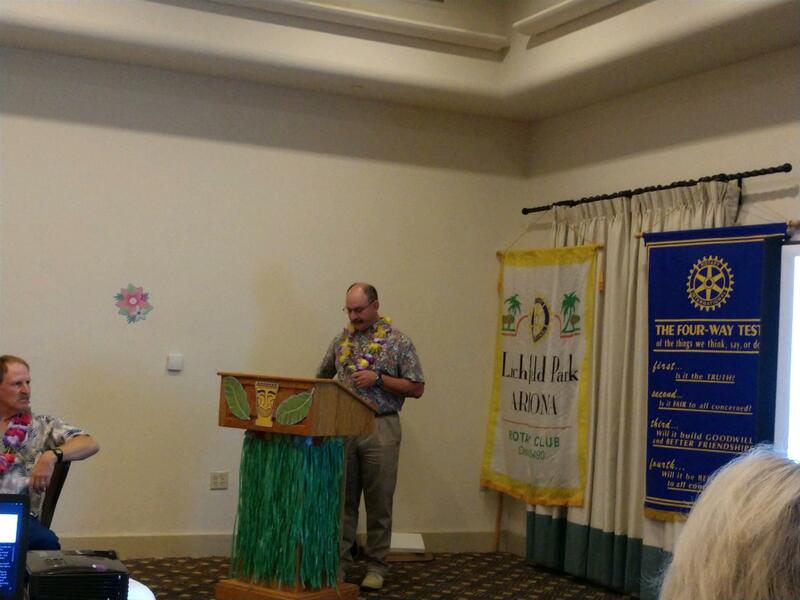 Welcome to Litchfield Park Rotary Club Online! The Rotary Club of Litchfield Park is comprised of like-minded community leaders dedicated to making a positive difference in our community. We donate many thousands of dollars to local and international charities each year and many hundreds of hours of volunteer hours. We meet every Friday morning at 7AM at the Arizona Kitchen at the Wigwam Resort in fellowship and enjoy interesting speaker programs & enjoy each other's company. Come join us and learn more about Rotary's mission! 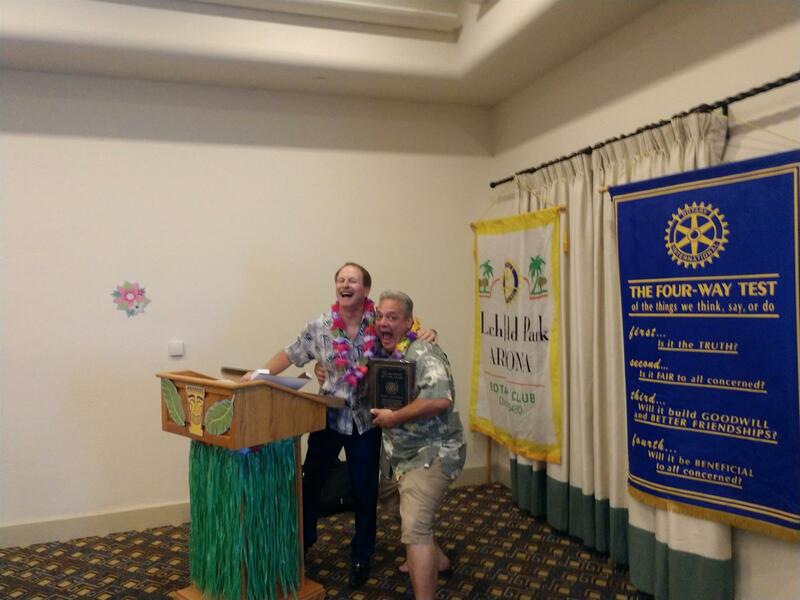 Our 2017-2018 Rotarian of the Year Rocky Cocchiola is apparently very pleased to receive his well-deserved award.